In my world, every road trip begins early in the morning. Not exactly at the time you plan, of course, but the time you can actually leave you usual modern family routine behind. If you like, just ask any classic car owner with a young family about how they find time to enjoy their passion for the vintage automobiles. It was 07:00 as I crept down the hall with the hope of not waking my wife and sixteen month old daughter. Love them I do, but this is a moment that had been paid for with many previous errand-filled weekends. I had just returned from a work trip and received the “approval” from my better half to take a personal day, as she had to work and so my daughter went to daycare. To me, that means driving my 1969 Nissan Whitebird. 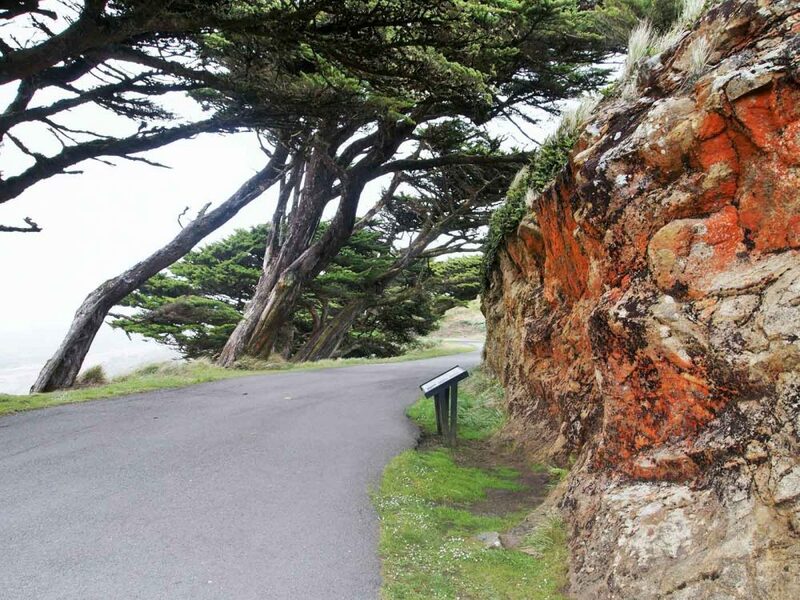 This trip was scheduled to take all morning as my route was more than 100 miles from Travis Air Force Base to the historic Point Reyes Lighthouse, right along the northern California coast. I will be honest: I fully intended to capture this “mini road trip” with my camera in hopes of sharing this experience with like-minded individuals. Now that all the pleasantries are done, let’s move on to my traveling companion. 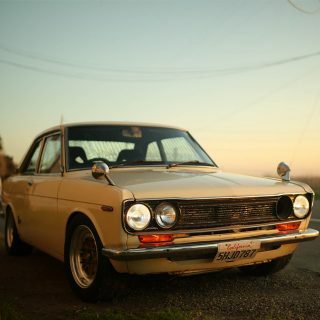 I purchased the car almost a year ago from an owner who imported my “J-Tin” back in 2007. 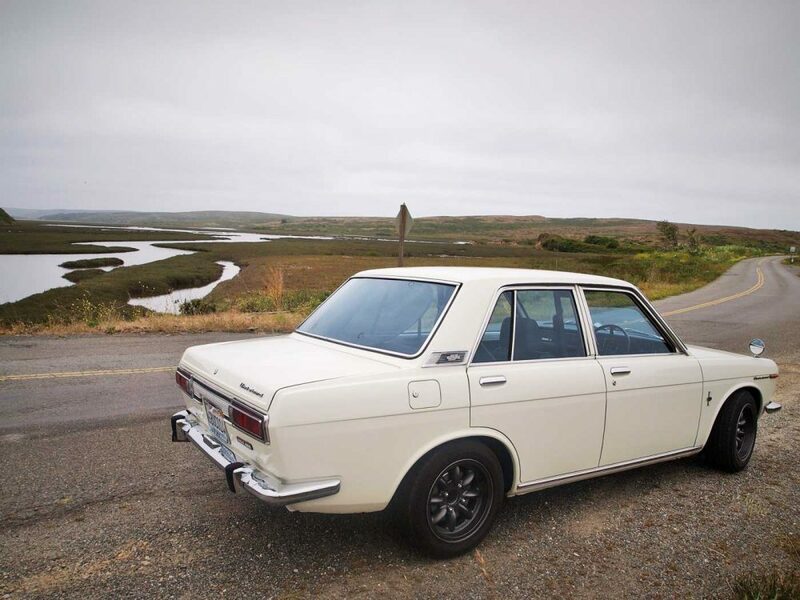 Because this is a story focusing on the trip, I will keep the spec sheet simple: it’s a 1969 Nissan Bluebird nicknamed “Whitebird” because of its color, and is an awesome and practical four door variant. 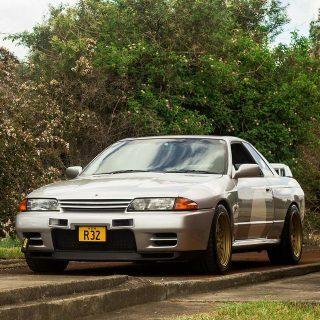 With a factory stock, all motor SR20DE under the hood, she can keep up with modern traffic without turbo complications or right foot-induced stress (chassis twist, tickets, accidents…etc). Yes, she may not be Pebble Beach worthy, and wears a few dings and scratches. The paint still shines well, the original chrome has little bit of beading, and the interior is mint! She is truly a close second to my family as an experience maker. If you understand of how an enthusiast can love an automobile, I am sure many of you can relate. 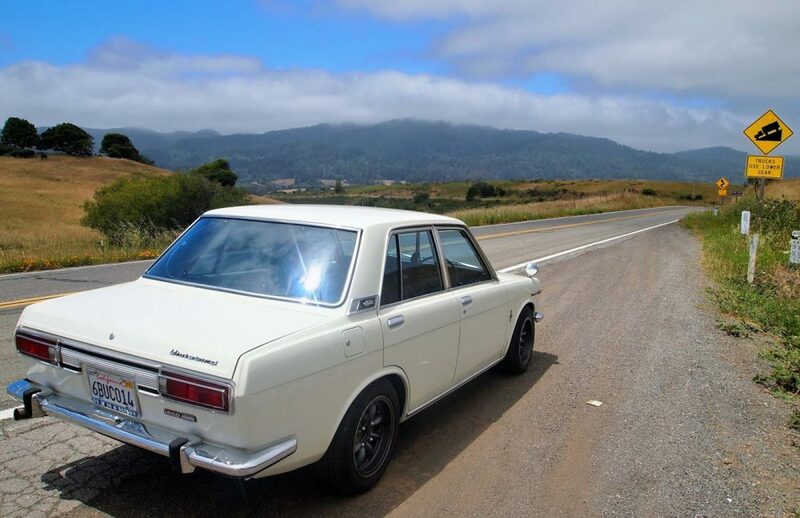 I jumped into the driver’s seat—the correct side, mind you—to back Whitebird out of the garage and into the early morning sun. My ears picked up the fuel pump turning on as the key twisted; the ignition from off to on, and held for a few seconds. Then, with a slight protest of a near-empty tank of stale gas, my classic obsession roared to life and settled to a low burble as it shook off the cooler temperatures. 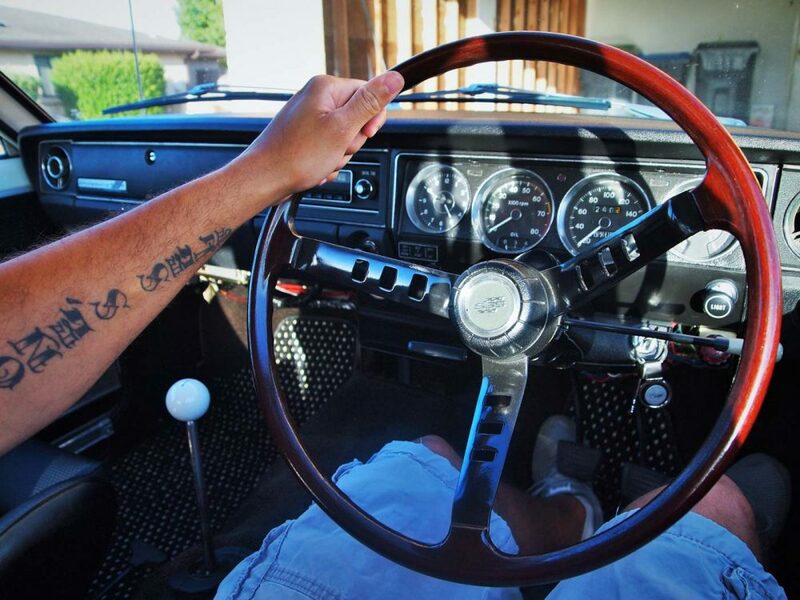 Gauges settle, and my anticipation is piqued by just touching its large, wooden steering wheel. With a full tank of fresh fuel, a tool bag, a few snacks, and a fully-charged cell phone, I am finally off on the open road. I will admit it wasn’t too exciting exiting the military base, driving through several miles of traffic lights to I-80 South toward San Francisco, and finally pointed west, headed to Point Reyes. The roads were pretty flat, but my research showed that they will get more fun the closer I get to the coast, so I practiced my patience. On this day, I do have to time to appreciate the companion I have along this trip. 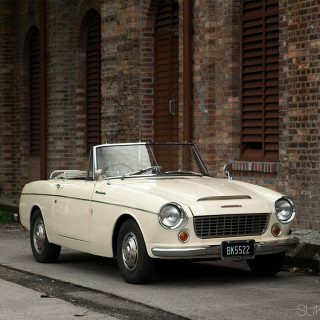 With a few quirks like any car its age would have, I am always amazed of its build quality. The Whitebird is really a nice cruiser that tends to get a bit of attention…when onlookers see me controlling the car from the opposite side. With a modern fuel-injected power plant, 5-speed drivetrain, upgraded CV axles/joints, and BMW E30 Recaro front seats, small journeys like this are quite pleasant. The hum of the exhaust and whistle of the wind through the vents and windows became serene and relaxing. I knew that this was the small “getaway” that I needed. Eventually, hills and more engaging roads came into view, beckoning me to test its legendary handling prowess. So far, I have driven nearly fifty miles to get to this point, and I would learn soon that it would all be worth it. I stop to take it all in and check my route. I knew the next thirty miles would require my full attention to succeed in my goals for this trip, and I did not want to get too lost in the process and forget my way. Times like these are when I find myself truly lucky. I am not a man of great means…or a lot of money. An active duty military member by trade, I find experiences like these bring me to a humble state of being in a world of increasing responsibility. I have grown to appreciate the wonders and the simple fortunes that life tends to offer. Right now, that wonder is driving in its purist form. I purchased this car not to baby it or look at it, but to use and maintain. People who strike up conversation over the car are surprised to learn that I use the Whitebird nearly every day as I travel to work, local errands, and even to pick my daughter up from daycare. Any petrolhead knows that it’s the drive—not the destination—that is the most exciting. And that drive can be to almost anywhere. I am also from the school of “Drive thy classic the way the builders intended”! For me, these moments driving alone are often better than any car show. I told you that the roads would get better! My feet, hands, and eyes were in sync, firing together as I pushed harder with each turn, straightaway, and braking zone. A good thing, as the drive was also meant to improve my technique and confidence as I learned how to safely flog this old girl aggressively before I try my luck at more ambitious endeavors. I wanted to learn how far I can push the steering, all four drum brakes (! ), and power before limits are reached. Before you begin stoning me regarding the brake choice, the Whitebird has aluminum finned drummed brakes on all four corners. The previous owner loved the factory novelty of an all-drum system and left it intact with some up minor upgrades. 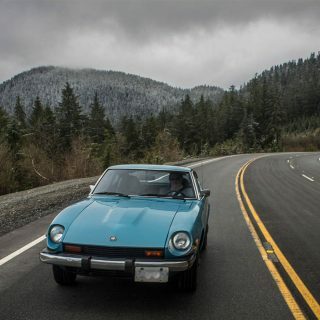 For this car, the design and material used for the brakes dissipates heat far better than any stock, heavy drums you are thinking about from your own encounters with the old technology, trust me. That said, hard braking (especially at high speeds) can be uneven. You have to be ready to downshift several gears, along with brake pumping for spirited driving so as to not induce brake fade and to allow the drums to cool. I wish I made a video of this session, as my hands and feet are a blur and my focus requirement is 100 percent on the task at hand. 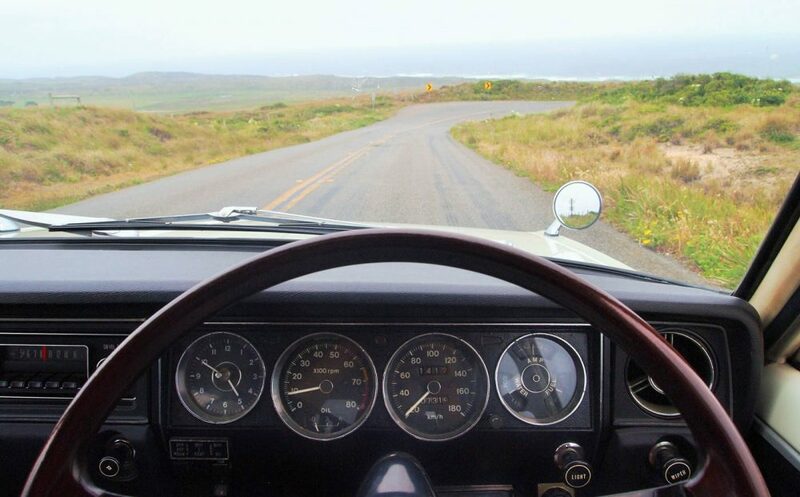 Achieving fluid driving motions while carving these types of roads is its own reward…as anyone who owns a vintage sports car without ABS can attest. No music, no day dreaming, just you, your car, and your heart pounding. It’s a full time job driving these old cars to their limits. As I traveled closer to the coast, the trees faded and were replaced by wet fields and the occasional dotting of cattle. The roads remained engaging, much to my delight, but the temperatures dropped as the northern California pacific clouds began to block out direct sunshine. Forget the overcast, though: the beauty of the scenery was present all around. 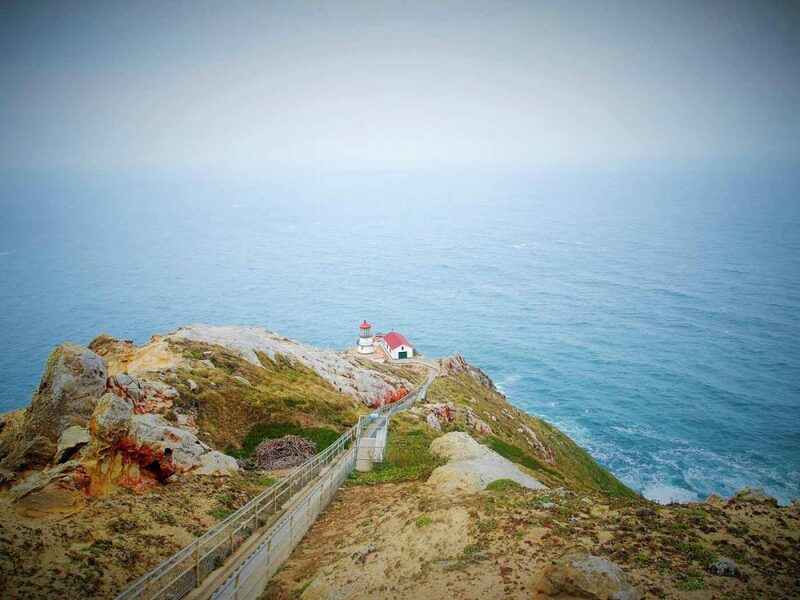 For those of you who may not know anything about the historic Point Reyes lighthouse, it’s located on a peninsula approximately thirty miles northwest of San Francisco and built in the late nineteenth century. Amazingly, it is still in use to today, although it has been converted to automation forty years ago. It still serves as a local tourist attraction for its history and breathtaking views, along with a active large animal marine life ecosystem for viewers willing to brave the chilly winds. With less than ten miles to go until reaching my destination, the smell of the ocean began to waft into the cabin. Soon, I was able to see water off in the distance, as the echo of engine mixed in with crashing waves. The streets were often narrow and uneven in places. That sometimes made me wonder in what condition I would be returning the car home in…but I pressed on. Short inclines and declines continued to test my driving resolve, as giving in and taking it easy to my finish line just were not in the cards for me. 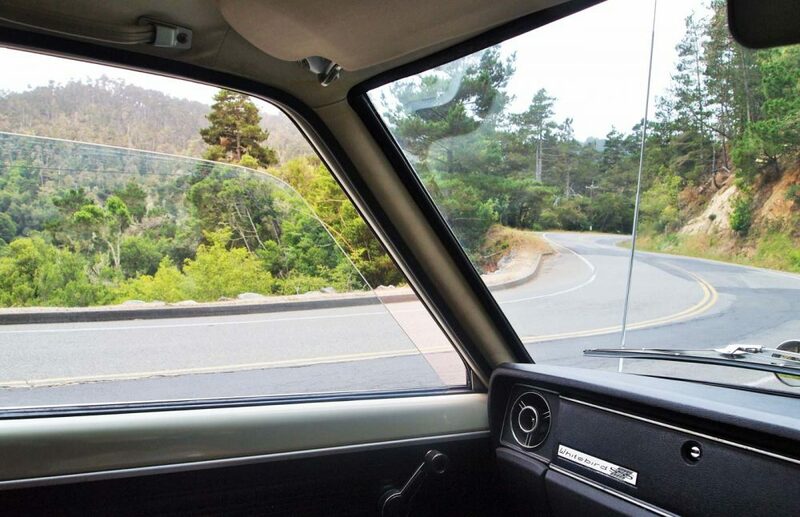 But: the risk of adventure in a vintage car road trip is not without some hairy moments and a bit of luck, right? I will not lie to you, I was excited to reach the apex of the road trip. Why? A growing desire to take a break from the constant mental strain of traveling quickly, and to be able to stretch my limbs. The relief of a safe parking area to give the Whitebird’s brakes a well-deserved rest was also important. As I look over the hood my personal dream car and onto the coastal beach stretching for miles, I am so proud of the journey. Not just the recent one that has taken place, but the ones throughout my life that have lead me to these moments of clarity and joy. Are they not what we strive for when we strap ourselves into our automotive obsessions? I hope that trips such as these in the Whitebird are only the beginning of our adventures together. 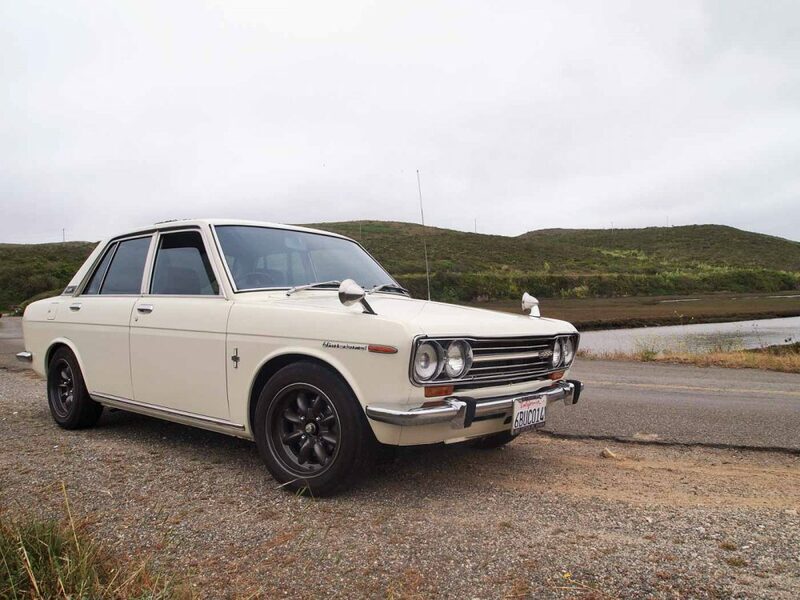 I am already planning to participate in a winter vintage road rally next year with my older brother as a copilot…following a brake and steering upgrade and a bit more tweaking. 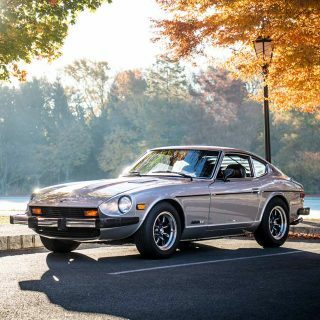 Until next time: drive tastefully! 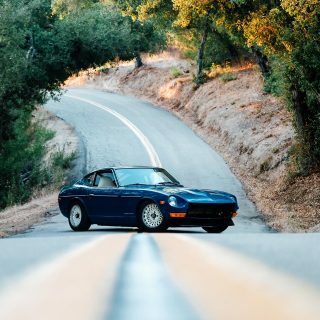 Great car, roads and write-up! It’s a pleasant surprise to read about a car that I see on occasion, driving roads I also enjoy. Scott is right, we have a plethora of fantastic roads to enjoy a spirited drive. Truth be told, it’s a big part of why I stayed put. Now I have to be an ornithologist and keep my eyes peeled for the Whitebird. Brian, that’s it! That’s what is all about! Thanks for your article. It’s funny to realize that there’s somebody at the other side of the globe sharing the same passion with the same approach. Keep on rollin’ and always a full tank of gas! Thank you for sharing your experience. This is what it’s all about. Brian, A great article, very well written and very honest. It definitely feels familiar to my own experiences and adventures with my classics/vintage/old timers. Every trip and outing is an adventure which enhances my connection to these old machines. Keep on driving it and keep on making those precious memories. First off, THANK YOU for your service !! I really enjoyed reading this piece , certainly sounds like you are truly enjoying you car. That’s how it’s supposed to be IMHO. You have a nice cadence in your writing style and i hope you consider writing more. Thanks for the great article Brian! I appreciate your car and your feelings towards it and life in general. Thanks also for the wonderful pictures. I liked seeing the “Whitebird” emblem on the glovebox; nice touch. Too often “driving tastefully” seems to be more about the car than about the experience or the interplay between person and vehicle. Many safe trips; keep the shiny side up and the greasy side down.